Looking for some inspiration for a new hairstyle? Seen a movie or video recently and thought “that guy’s got great hair; I’d like to try that”? Celebs always look great, so let’s check out five celebrity styles that are achievable for the everyday bloke. The short back and sides is a timeless classic and one tried and tested by the military the world over. Add just a fraction of length and volume on top, and you’ve got the option to wear it smooth and sleek or spike it up if you’re looking for some volume. The smooth and sleek look is great with a clean shaven face so it’s ideal for formal occasions and events as well as job interviews. If you opt for the spiky version, tee it up with a bit of facial hair for a super cool look. If you like the look above but want even greater length and volume, try the ‘fauxhawk’ as worn here by David Beckham. Just like Brad Pitt’s short military style, it works really well with facial hair, particularly if you’re going for the super cool celeb look. Make sure you stock up on product though! Want to go even more military than Brad Pitt’s style? 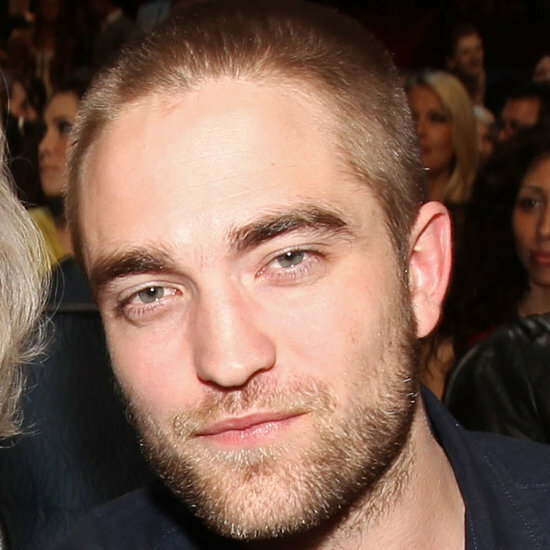 Look no further than actor Robert Pattinson’s buzz cut. It’s certainly a dramatic look and draws attention to the eyes. A good bone structure is a bit of a prerequisite for this one. A great option for summer or if you’re noticing your hair isn’t as thick as it used to be. However, before you pick up the clippers check out the wide range of treatments now available for hair loss offered by results-driven companies like http://www.transitionshair.com.au . Simple and sophisticated, the short cut with a side part is a timeless classic. This style works particularly well for more mature guys and is often the choice of businessmen. This style is also incredibly easy to maintain and quick and easy to style. If you’ve never grown your hair before and would like to give it a go, aim for a length like the style worn here by Australian musician Keith Urban. Although this is a straight style, this length of hair can also be work well by guys who have a natural wave in their hair. Like any hairstyle that requires a bit of length, it will take you some time to achieve it if you currently have short hair. Bear in mind it takes about a month to grow 1cm of hair. It will also take a bit of time and product to style in the morning. I think the buzz cut is really a fast hairstyle to do. I was gonna tell you yesterday that since I like older men, if i have to choose among the 4. I will choose the one with the grey hair haha. I think George Cloony is good looking, decent man and with that kind of hair cut, boy he looks good at his age. I love the classic look on George Clooney. Clean cut is a Go for me, always. I am kind of hooked to the gossip columns, magazines and programs devoted to celebrities, also their abundance probably indicate that many of us are very interested in them.